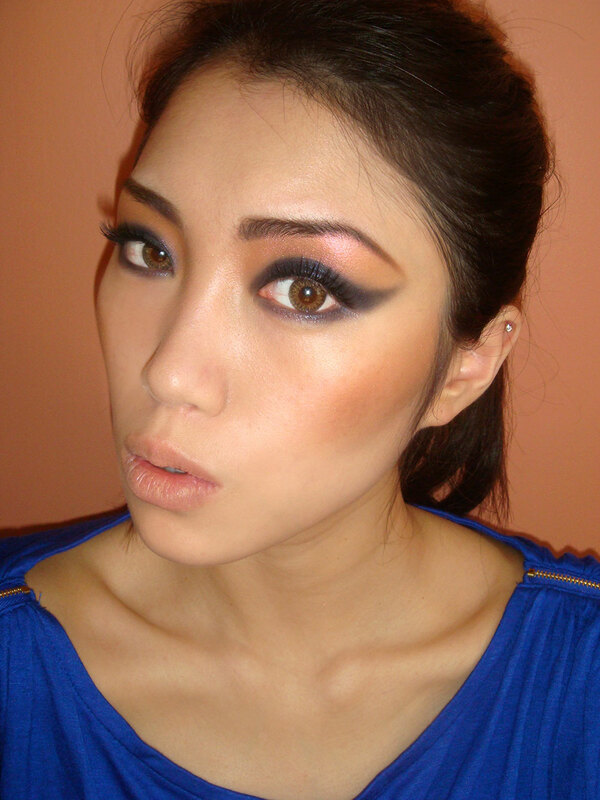 Inspired by François Nars’ work on the Marc Jacobs Fall 2009 runway, here is my take on the 80s cat eye look. i loved the way you smoked out the wing and made it look so soft! Gorgeous! I love the nightflight shadow! You can try MAC Night Owl instead. PS Phyllis, I’m in Korea right now.. is there any Asian beauty products you recommend I stock up on? wow you sure have a lot of beauty products!! Wow, that is such an exotic look. Love it! I love it! You always get these looks spot on. What did you use on your lips? I used NARS Multiple Bronzer in Cap Vert on my lips. Yes Amy. I’m wearing Geo Tri Color lenses in Brown here. Oh I really really LOVE this look !! I think that I’m going to buy the the nightflight shadow! Wow!!! I love this look (yours)!! Do u have or could do a step by step tutorial for it? 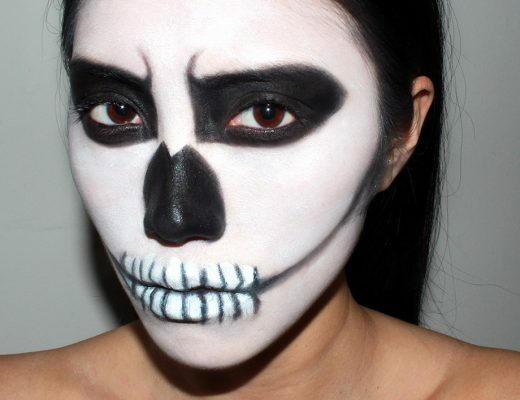 Id love to learn how to make such great smokey eye look for asian eyelids! This is absolutely gorgeous and fierce! Where is your top from? I love the zipper detail. Thanks Michelle, the top is from Forever 21. Loves!!! Yay Pinklye! 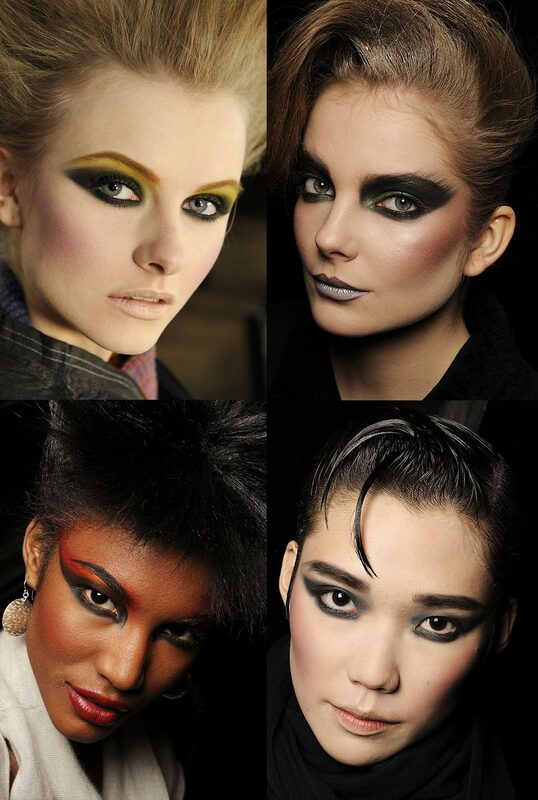 The NARS Night Series eyeshadows are all really pretty. I have more swatches here. All of your eye looks are so perfectly blended! the fade out is perfect and i just can’t get the hang of that, especially on the outer corners, like in this look. i was checking for the products youve used i couldnt find it i only found nars night flight eyeshadow i couldnt find NARS Lil Marlene Cream Eyeshadow and NARS Bohemian Gold Duo Eyeshadow are these products discountinued? Thanks Yael! Using the right brush is also very important. Try a fluffy brush like MAC #217 and remember to clean up any muddy areas with a flat brush dipped in foundation. The Lili Marlene is still available at the NARS website but the Bohemian Gold might have been discontinued. great! much more wearable than the runway looks!